Arlen is passionate about discipleship and has a vision to equip and empower the church worldwide to make disciples and transform nations. He is a strategic thinker and collaborator who has dedicated his life to building the kingdom of God. Growing up in Lancaster, Pennsylvania as a part of a conservative Mennonite community, Arlen was immersed in faith, hard work, frugality, integrity, and a life-style of continuous self-learning. These values form the foundation from which he lives and ministers. 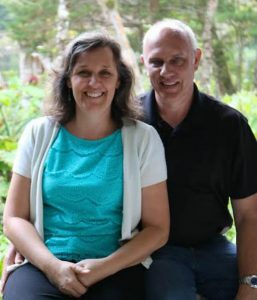 Arlen and his wife, Keturah, joined Missionary Ventures in 1996 and hosted mission team trips near Guatemala City from 1997-2003. From 2003-2013, they ministered in the region of Petén, Guatemala, working primarily alongside local churches and disciplining believers. Much labor was given to resourcing Christian schools and teachers, but their special heart-emphasis was particularly on ministering to families and marriages. The Kings and their four children, Asher, Cordell, Ariana, and Tyrell, relocated to Orlando, Florida in 2013 to work in the MVI office. Today, as the Director of Field Development, Arlen works toward the development of strategic vision, goals, and objectives which guide MVI’s ministry efforts. He is responsible to develop and lead a team who provide support and oversight for our missionaries.